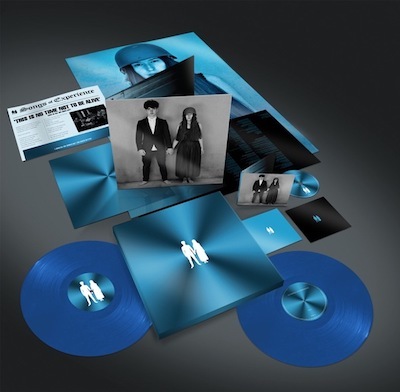 Universal Music/Island Records will reissue remastered vinyl versions of U2‘s Pop and All That You Can’t Leave Behind albums next month, alongside a vinyl reissue of the 1985 Wide Awake In America EP. 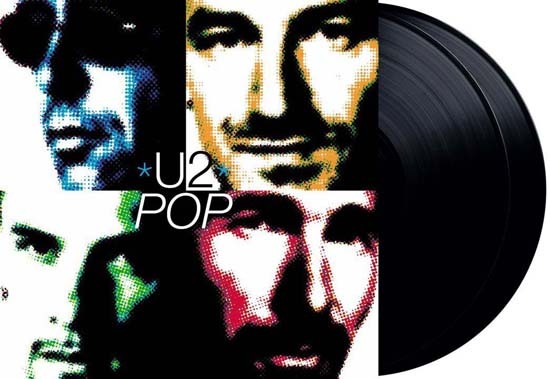 “Pop” was the band’s ninth studio album and was originally issued in 1997, reaching number one in over 30 countries around the world, including the UK and America. It continued U2’s ‘reinvention’ – which started in the early nineties with Achtung Baby and Zooropa – and was produced by Flood with Howie B and Steve Osbourne. Pop delivered four top ten singles in the UK, but despite this success the band were apparently not totally satisfied with the final product, and post release they constantly fiddled with tracks, re-recording and remixing many of the songs for various single and compilation releases. The new reissue is remastered and pressed on double black 180g vinyl. It comes in a gatefold sleeve and has as download card. 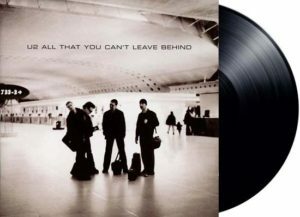 All That You Can’t Leave Behind was the first U2 album of the new millennium, issued three and a half years after Pop. Their 10th studio album pulled back from all the experimentation and returned to a more traditional sound. It was no coincidence that the album was produced by old muckers Daniel Lanois and Brian Eno. The album benefitted from the enormous success of the first single Beautiful Day which was a massive hit virtually everywhere (except in the USA, interestingly). Like Pop, the vinyl reissue is newly remastered and pressed on 180g black vinyl. It comes with a 16-page booklet and a download card. 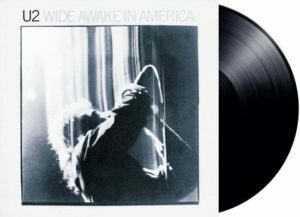 The Wide Awake In America EP was only ever issued in America and Japan, in 1985, although it was reissued internationally on CD in the late eighties. Two tracks (A Sort Of Homecoming and Bad) are live recordings from the The Unforgettable Fire tour in late ’84 while the other two (The Three Sunrises and Love Comes Tumbling) are studio recordings issued as B-sides on the 12-inch of The Unforgettable Fire single. The vinyl reissue uses the 2009 remasters created for the The Unforgettable Fire reissue of that same year. Again, 180g black vinyl and a download card. All three vinyl reissues will be released on 13th April 2018. Pop is rather pricey in the UK at the moment, but that’s likely to come down fairly quickly (with Amazon’s pre-order price guarantee you’ll only pay the cheapest price between ordering and shipping, of course). Songs Of Experience may be titled as the complementary bookend of its 2014 predecessor Songs Of Innocence, but what’s really on display is the collective experience of a rock institution with more than 40 years of friendship on the clock. As the pleasing symmetry extends from the studio to the road, the new companion album will be made flesh by 2018’s Experience + Innocence tour, due to start in Tulsa in May 2018. It will do so fuelled by the weighty 14th studio entry in the U2 canon. Early listens to Songs Of Experience reveal a band still so nimble that they can draw on the weight of their achievements, not be dragged down by them. In the process, they’ve created a deftly updated version of themselves. New textures and fresh filters abound, for what is still one of the world’s most cohesive and visceral rock outfits. There are contributions from Kendrick Lamar, Lady GaGa and Haim may convey this work to a younger audience, but not at the expense of the essence of U2. Some listeners have sensed an enforced optimism about the album’s lyrical demeanour, but when Bono introduces the opening ‘Love Is All We Have Left’ with the words “Nothing to stop this being the best day ever/Nothing to keep us from where we should be,” it’s with a sense of informed realism and his an entirely believable, undimmed positivity. Thus they proceed on an odyssey that, on the album’s deluxe edition with its various mixes and alternative versions, embraces no fewer than 17 tracks and 67 minutes, created in London, Dublin and Los Angeles. Production, by Jacknife Lee and Ryan Tedder, with Steve Lillywhite, Andy Barlow and Jolyon Thomas, is ever-imaginative, focused on innovation without smothering the spirit of the song in its presentation. The Edge’s guitar leads are as admirably nuanced as ever and the Clayton/Mullen rhythm section has the kind of intuitive depth that can only come from this quartet’s unbuyable symbiosis. Moods undulate from the stripped back, acoustic guitar and tambourine set-up of ‘The Showman (Little More Better)’ to the laid-back ‘Landlady’ and on again to another potential anthem in ‘Love Is Bigger Than Anything In Its Way.’ To quote themselves, U2 have got out of their own way and added a significant new chapter to their epic story. 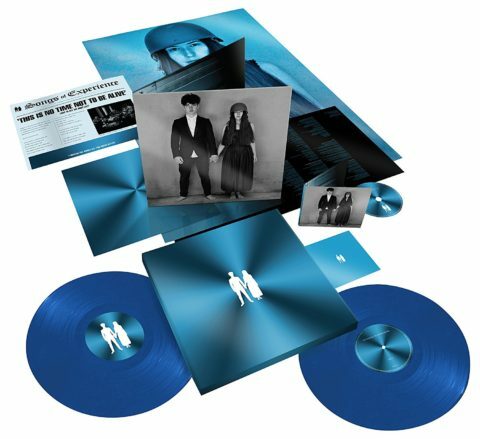 After nearly a year of waiting, details on U2’s Songs of Experience, album release which is confirmed for a December. 1st release, with a tour to follow beginning in May of 2018. 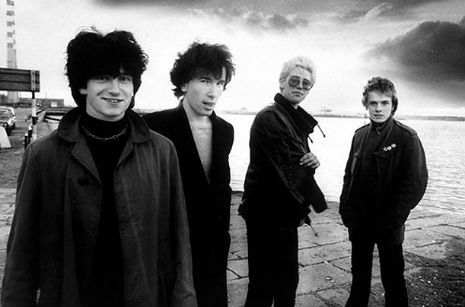 U2 had already released two songs from Experience, “The Blackout” and “You’re the Best Thing About Me,” and performed a third, “The Little Things That Give You Away,” live on tour. “Get Out of Your Own Way,” “The Blackout” and “Get Out Of Your Own Way” will all be immediately available for streaming with advance orders. The album has been produced by Jacknife Lee and Ryan Tedder, with Steve Lillywhite, Andy Barlow and Jolyon Thomas. 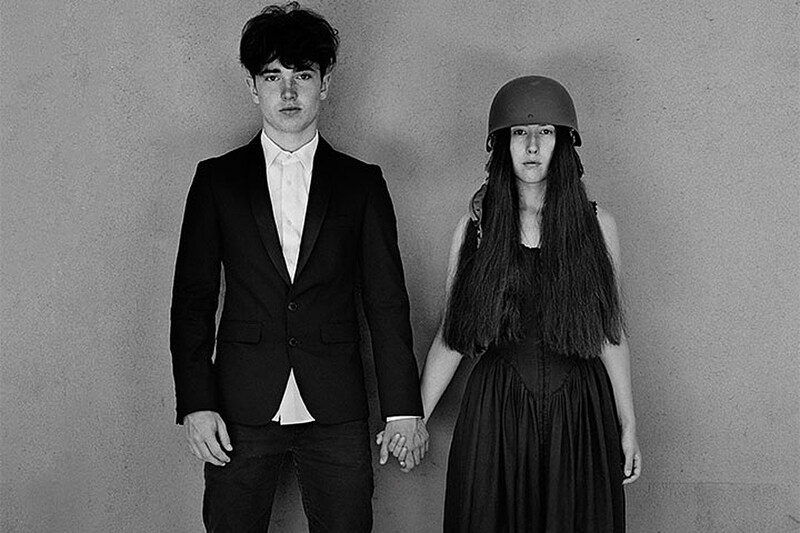 The cover image (by Anton Corbijn) features band-members’ teenage children Eli Hewson and Sian Evans. 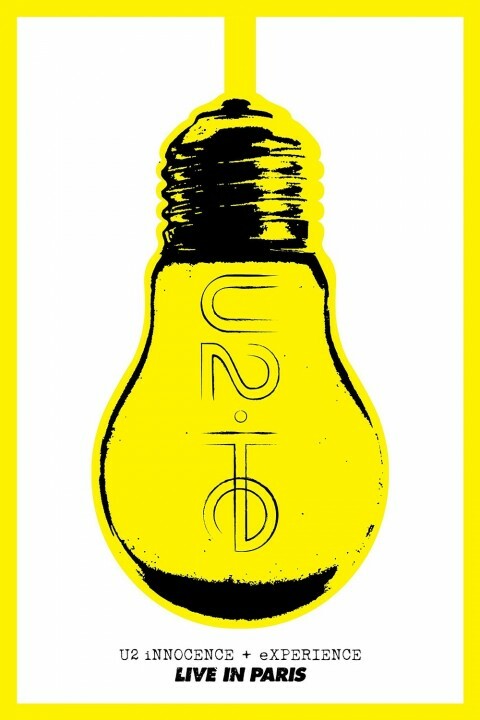 The band will kick off their U2 eXPERIENCE + iNNOCENCE Tour in May 15 dates have been announced, concluding June 29 in Newark, New Jersey. Details of the album match the previously reported rumors. The record is a companion to 2014’s Songs of Innocence. It was close to completion prior to America’s most recent Presidential election, but the band chose to pause work on it while focusing on their 30th anniversary Joshua Tree tour and reconsidering the ramifications of the vote. It was also impacted by an unspecified health scare for Bono, the band recently said. The release date coincides with World AIDS Day, in conjunction with Product RED, an organization co-founded by Bono that raises funds and awareness to help eliminate AIDS in African countries. U2 have previewed their 2017 version of their track “Red Hill Mining Town” which is to be released as a picture disc for this year’s Record Store Day on April 22nd . 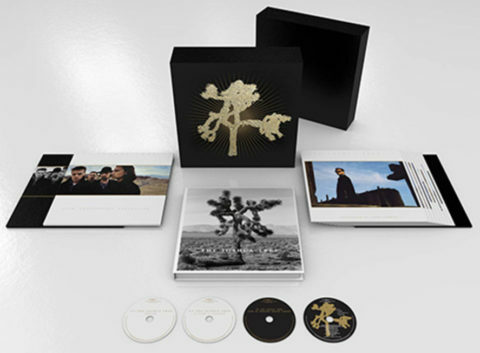 The remix version which will also appear on the about to be reissued 30th Anniversary edition of “The Joshua Tree” was mixed by Steve Lillywhite and features all-new vocals by Bono , along with greater focus on brass instrumentation by the Arklow Shipping Silver Band. “Red Hill Mining Town” was devised as a literal illustration of the controversial and divisive British miners’ strike of 1984-85, placed within the terms of a marriage that’s breaking down under the stresses of the times. Bono admitted that some people would “beat me with a stick” for his take on a classic American protest song. U2 reported in an announcement that “Red Hill Mining Town,’ originally inspired by Bono’s reading of Red Hill: A Mining Community by Tony Parker, ‘Red Hill Mining Town’ is famously “the single that never was”, originally discussed as the second single from The Joshua Tree but then put to one side at the last minute in favour of ‘I Still Haven’t Found What I’m Looking For’. 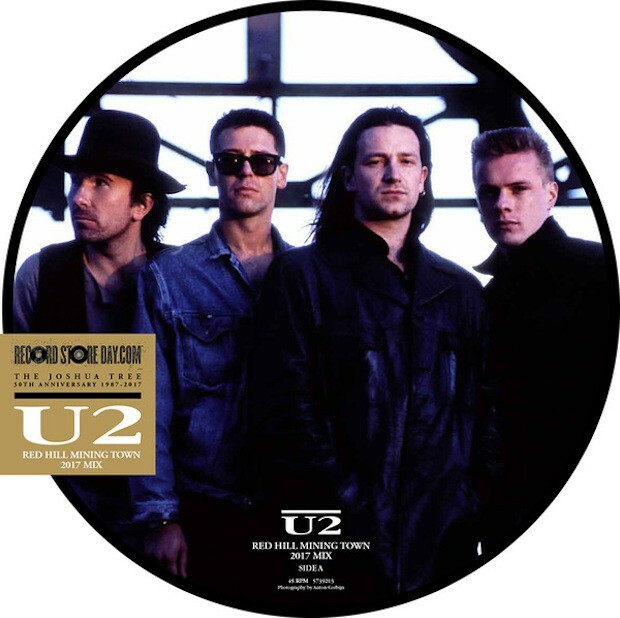 To coincide with the 30th anniversary of U2​’s iconic album, The Joshua Tree, Island Records will release a 2017 mix of ‘Red Hill Mining Town’ on limited edition 12″ picture disc . U2 has shared a preview video of the vinyl being cut alongside the updated version of the track. The super deluxe edition box set (which is also available as a 7LP vinyl set) includes a remastered version of the album, 17 tracks performed “Live at Madison Square Garden” in 1987 (featuring most of the album), a disc of new remixes and a B-sides and outtakes CD. That final disc repeats most of the tracks on the bonus CD included in the 20th anniversary reissue (the SDE of which was a 2CD+DVD set), although it omits the single edit of Where the Streets Have No Name and adds an unreleased alternate mix of I Still Haven’t Found What I’m Looking For (called the ‘Lillywhite Alternative Mix ’87’) and a new 2017 mix of “One Tree Hill” (called One Tree Hill Reprise) courtesy of Brian Eno. The 7LP vinyl version of this super deluxe edition box features exactly the same audio and exactly the same books and prints as the four-CD set. The only difference is that the audio is across 14 sides of vinyl! . As reported U2 are to play their 1987 huge selling album The Joshua Tree this year. The band have announced a six-week tour of North American football stadiums, including a stop at the Bonnarroo Music + Arts Festival in Manchester, Tenn., with a three weeks worth of dates in Europe to follow. The European portion will begin May 8th in London and conclude August. 1st in Brussels, including a stop at Croke Park in their hometown of Dublin on July 22nd. Kirsty MacColl helped decide the track list, The late singer volunteered to pick ‘The Joshua Tree’’s running order while the album was being mixed. The only specifics were for ‘Where the Streets Have No Name’ to open, with ‘Mothers of the Disappeared’ closing. The rest was up to her. It’s fair to say she did a pretty great job. 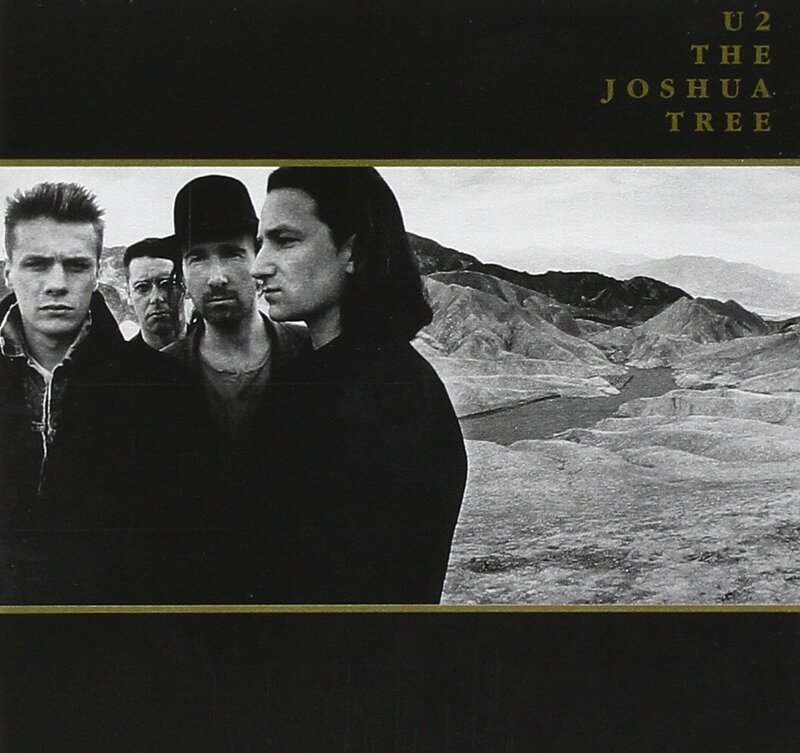 At the time, U2 felt ‘Sweetest Thing’ didn’t fit with the rootsy, grand-scoped feel of ‘The Joshua Tree’. As such, they used it as the B-side to ‘Where the Streets Have No Name’. But due to its legacy as a fan favourite, the song was re-recorded and re-released as part of the band’s ‘The Best of 1980-1990’ compilation. The death of the band’s roadie inspired one of the album’s best songs, ‘One Tree Hill’ was written in memory of Greg Carroll, a roadie who went on to become one of Bono’s close friends. 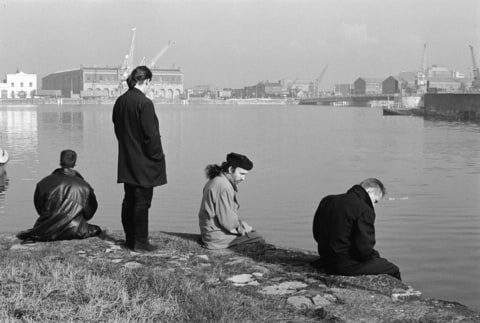 A tragic motorcycle accident in Dublin killed Carroll, and the song was written shortly after, building from a jam session between Bono and Brian Eno. The frontman recorded his vocals in one go, too overwhelmed by emotion to attempt another take. 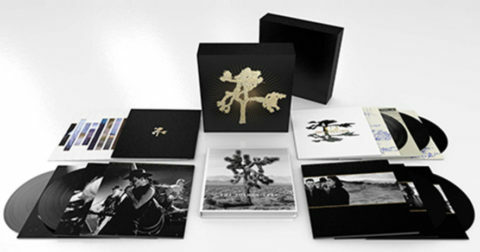 U2 are to release iNNOCENCE + eXPERIENCE Live in Paris next month on blu-ray, DVD and a lavish super deluxe edition box set. 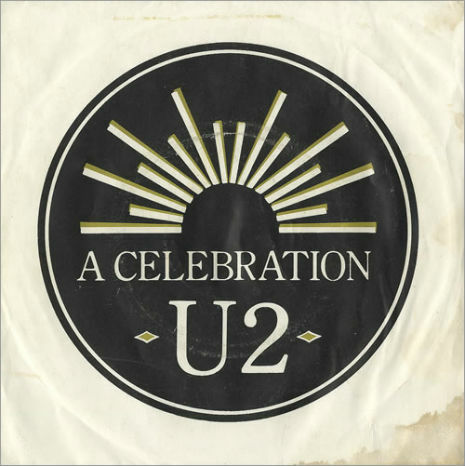 The core of all three editions is U2’s 30-song concert performance in Paris in 2015 where they played much of their most recent album Songs of Innocence as well as a healthy selection of classics such as Where The Streets Have No Name and With or Without You. This is the performance where they are joined by Eagles of Death Metal at the end. iNNOCENCE + eXPERIENCE is available on standard DVD, while a blu-ray and two-DVD edition adds plenty of extra content including extra live material (including being joined on stage by Patti Smith) and all the promo videos from the Songs of Innocence album. 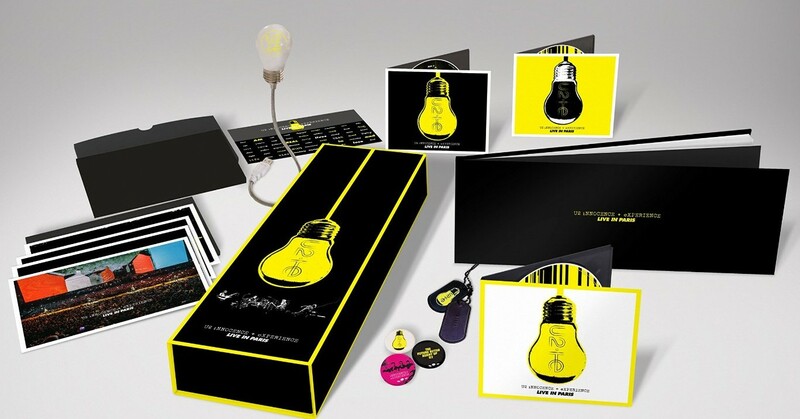 A super deluxe edition contains the blu-ray and both DVDs and includes a 64-page hardback book, along with a plethora of bits and bobs, such as postcards/art prints, sticker sheet, stencils, badges, a dog tag (individually numbered) and a USB lightbulb. iNNOCENCE + eXPERIENCE is released on 10th June 2016. The concert film captures the Irish band’s ground-breaking tour as it returned to the French capital for two very special shows in December last year. In addition to guest performances from Eagles of Death Metal and Patti Smith, U2 – ‘iNNOCENCE + eXPERIENCE – Live In Paris’ puts viewers inside the Paris arena with Bono, Adam Clayton, The Edge and Larry Mullen Jr. and deluxe versions of the release also include behind-the-scenes footage of band and crew; an interview with live broadcast director Hamish Hamilton; exclusive tour visuals narrated by the band’s lifelong friend Gavin Friday; music videos; additional live tracks filmed during the tour; and much more. It sees the band perform fan favourites from latest album ‘Songs of Innocence’, with highlights featuring ‘Cedarwood Road’, ‘Song For Someone’ and an acoustic version of ‘Every Breaking Wave’, as well as career- spanning staples including ‘I Will Follow’, ‘Pride (In the Name of Love)’, ‘Vertigo’, ‘Sunday Bloody Sunday’, ‘Until The End of the World’, ‘Beautiful Day’, ‘Where The Streets Have No Name’ and many more. DVD – Standard DVD – 30 Tracks. CD / DVD – Double Deluxe DVD Set with DVD one featuring 30 Tracks plus 2nd DVD featuring extras, Naration by Gavin Friday, 9 Videos etc. Heavy – Limited edition set with 2 DVDS plus Blueray and 64 pagebook, 4 postcards / art prints in black envelope, Sticker sheet, 4 stencils, USB lightbulb, 3 Badges and black dog tag on black chain (individually numbered 00001 – 15000). The reason for the record’s cold shoulder from the group who recorded it—and were presumably proud enough of it to shoot a video for the song. This is a corker of a song with an amazing guitar riff. but it’s still tragically the least known song in U2’s large catalog. Eventually it was released on CD in 2004 on The Complete U2.